On the first day of Hanukkah, a group of 120 – comprised of 75 Christians and 40 Jews – brought light to the Knesset in a joint Bible study that included 40 honored guests, Christians visiting from Taiwan. Rabbi Pesach Wolicki of the Center for Jewish and Christian Understanding and Cooperation (CJCUC) focused his comments on the exhilaration and celebration we have during Hanukkah for a miracle that happened “in those days” – over 2,000 years ago – “now.” He exclaimed, “We are not recalling history – there is no word in the Hebrew language for history – we are remembering, and memories only happen in relation to our own experiences.” Thus, he posed, the miracle of Hanukkah is related to each and every one of our lives. 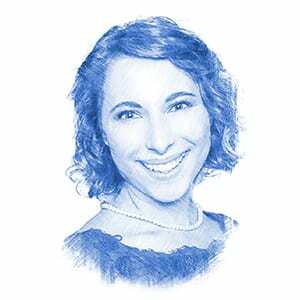 Dr. Rivkah Lambert Adler, Bible and Prophecy Watch reporter on Breaking Israel News and editor of Ten From the Nations: Torah Awakening Among Non-Jews, spoke of an alternative Biblical paradigm of leadership – a female and private form of leadership – that can change the world. She recalled the lesser-known story of Judith, aunt of Judah the Maccabee, who “contributed to a victory in her own way” during the Maccabean revolt against Syrian-Greek oppression. “That’s what’s happening here, in Taiwan, all over the world – together we are bringing Zecharia’s vision to light,” he said. Pastor Jim Garlow (a member of US President Trump’s faith advisory council) and Rosemary Schindler Garlow, founders of the Schindler Society, found the location of the Bible study – Israel’s parliament – especially meaningful as a place where government officials can explore Biblical concepts and lessons in leadership that may guide their governance of the Jewish state. The Schindler Society is a US-based Christian group that has introduced ongoing Bible study in the US Congress and the United Nations. 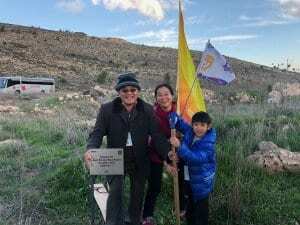 Immediately following the Bible study, the Christian Taiwanese group traveled to Israel’s Biblical heartland of Ofra, where they met with Owner and CEO of Lipkin Tours, Aaron Lipkin. The group planted trees – representing Judeo-Christian roots to the land of Israel – actualizing the promise at the Bible study that the Christian people will continue to stand with the Jewish people, playing an active role in the fulfillment of Biblical prophecy in the Jewish homeland in Israel.